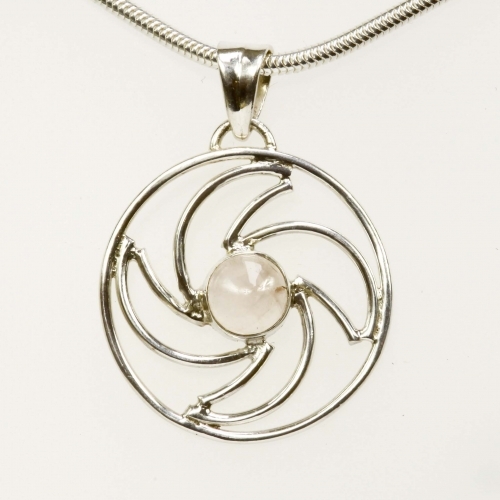 This sterling silver and rose quartz cabuchon pendant represents a spinning chakra (heart), like a vortex of energy. Clean jewellery regularly with a silver polishing cloth to prevent the build up of damaging tarnish. The stone can be wiped clean with a damp cloth.